Using the words of a friend, “docking is a full-contact sport”! Sailing is generally the easy part but pulling 24,000lb boat into a slip with a crosswind and a current can create some tense moments. Which is why Docking is tied to Safety! 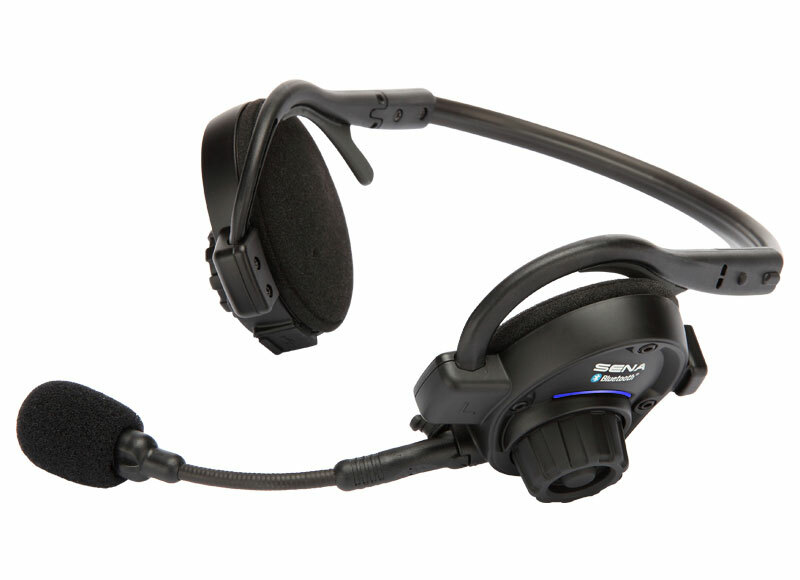 There is much debate as to whether headsets are needed or worth the money when hand signals should be adequate. After we put Gaviidae on the rocks at Old Dave’s Harbour last year, we were firmly convinced that hand signals don’t work when you have to change course frequently and you are in uncharted waters. Now we arrive in an anchorage very quietly and are quite amused when we hear yelling back and forth when other boats arrive. If you want more information, see Cruising Solutions. 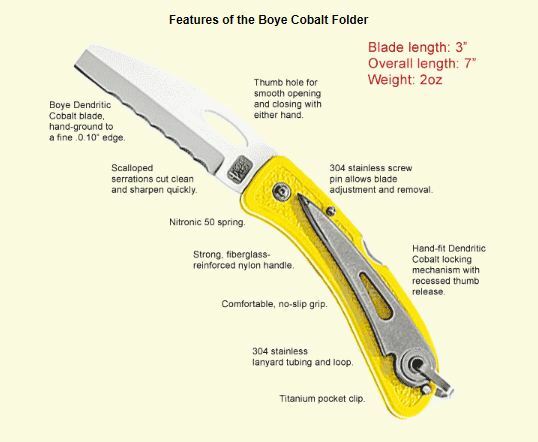 A couple of years ago I purchased a Boye Rigging Knife as a present for Dan. I kind of thought maybe he’d occasionally let me use it – Wrong! He carries it in his pocket every day and uses it all the time. I ordered this through Charlie’s Charts which is owned by fellow Women Who Sail members Holly Scott and Jo Russell. Note: this is not a cheap item but as long as you don’t drop it overboard, it’s worth every penny. 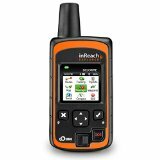 We purchased our DeLorme InReach Explorer (now made by Garmin) 2-way satellite communicator at REI but they are available at many locations including Amazon. It pays to shop for the best price or promotion if you decide to get one. Initially we thought we’d use this so family and friends would know where we are at any given moment. We also linked the device to our website Where Are We Now? page and found that some of our friends were able to send us messages through this page. While that’s all fun, the Explorer’s real purpose was as an emergency locator (which we did not have to use!) and to receive weather updates in locations too remote to get weather via VHF. We set it up to receive text-message weather updates at no cost by using one of the three pre-set messages (which can be edited). Sometimes you come across something that is so simple in design but amazingly functional that you wonder why everyone doesn’t have one. 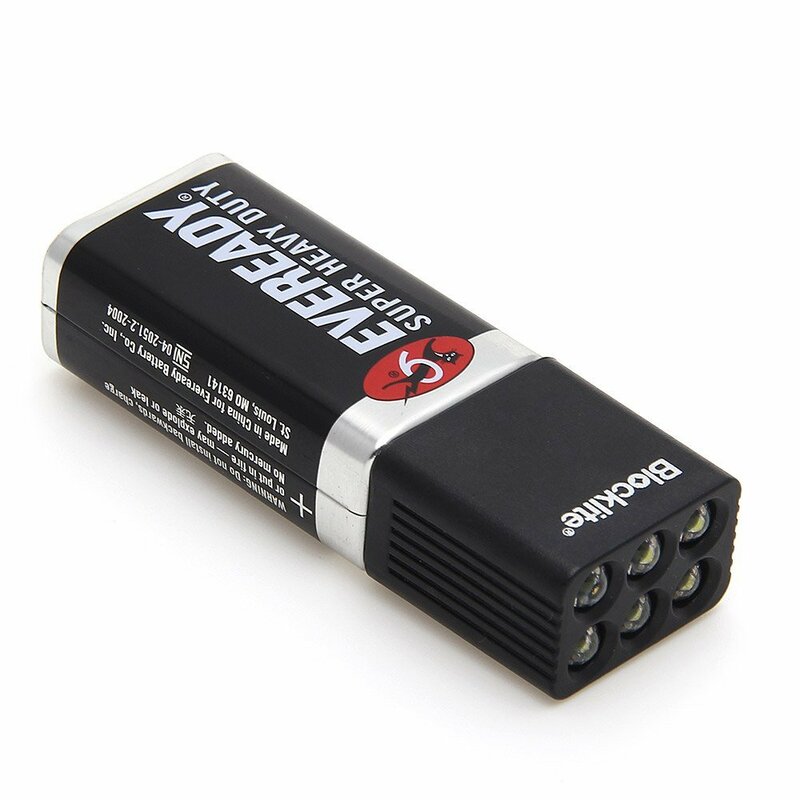 We came across these amazingly powerful little flashlights at the Duluth Pack Store. We bought one, then another, and another. They’re perfect for putting in your pocket, your car, bag, etc. I’ve since found them on Amazon.